Our turquoise hoop necklace is off to the Pyramid Gallery in York. 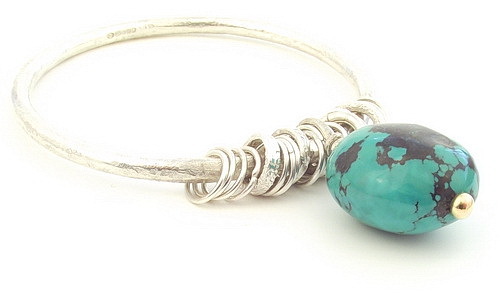 Our turquoise and sterling silver hoop necklace. This dramatic turquoise necklace with matching earrings has been sent to the Pyramid Gallery in York. It will be exhibited soon, in their Christmas exhibition along with a larger range of our jewellery. 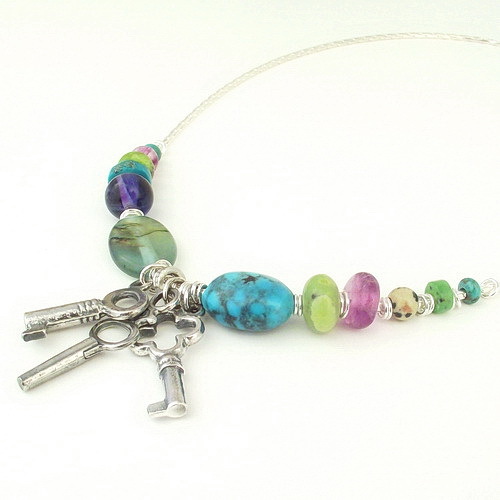 The necklace is quite bold and certainly makes a statement with it’s size and wonderful turquoise colours. 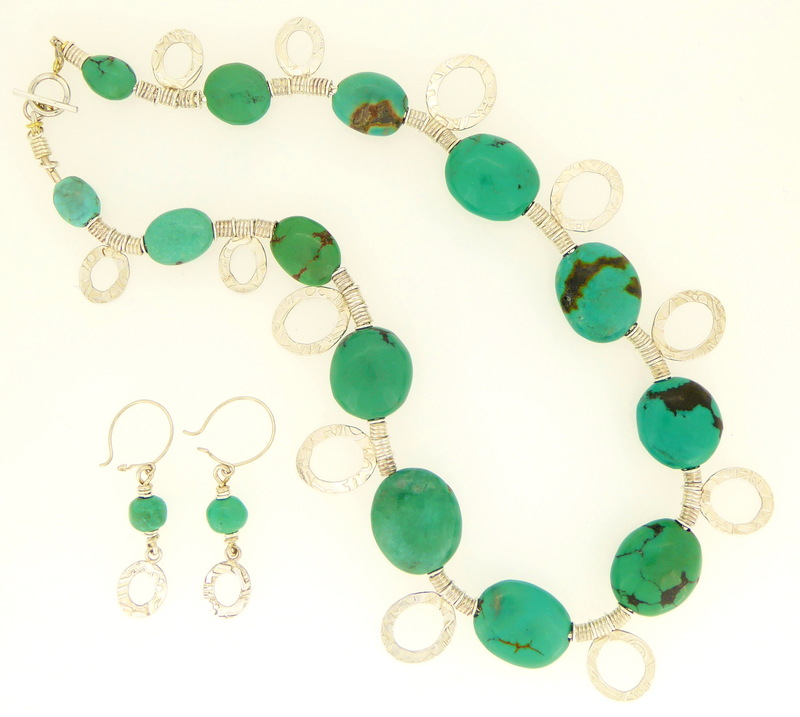 Our turquoise necklace with matching earrings. Another view of our necklace and matching earrings. Another matching necklace and ear studs set that will be exhibited at the Pyramid Gallery is our Blue moonstone hoop necklace and ear studs. This is a more delicate, smaller necklace than the turquoise one but we think that it still has the ‘WOW’ factor. 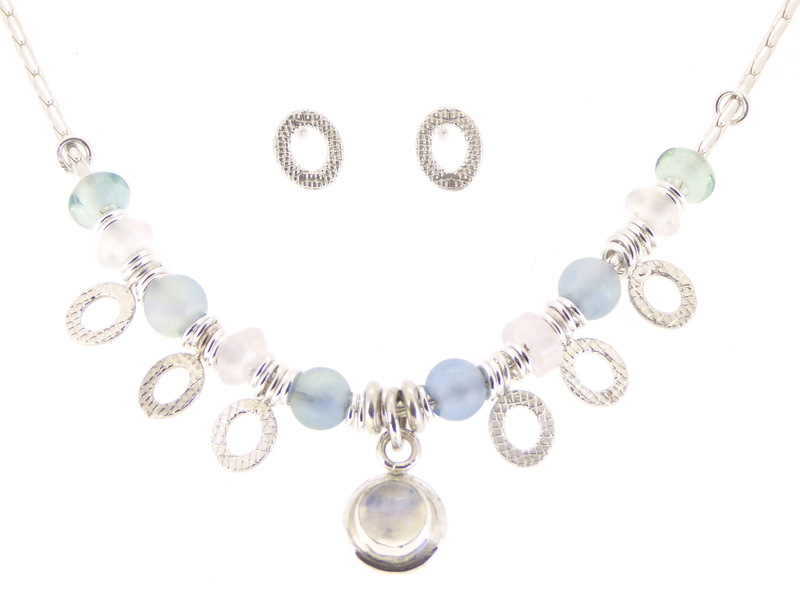 Blue moonstone hoop necklace and matching hoop ear studs. 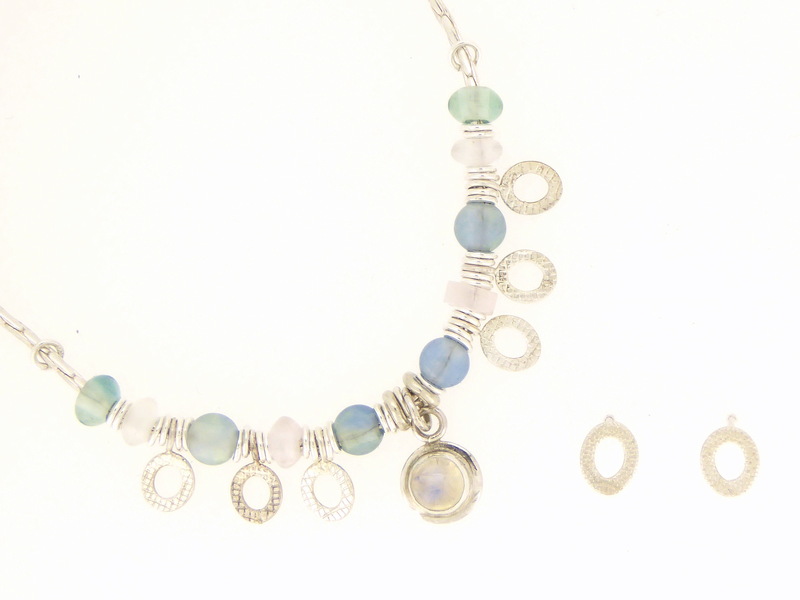 Blue moonstone and sterling silver hooped necklace with matching ear studs. 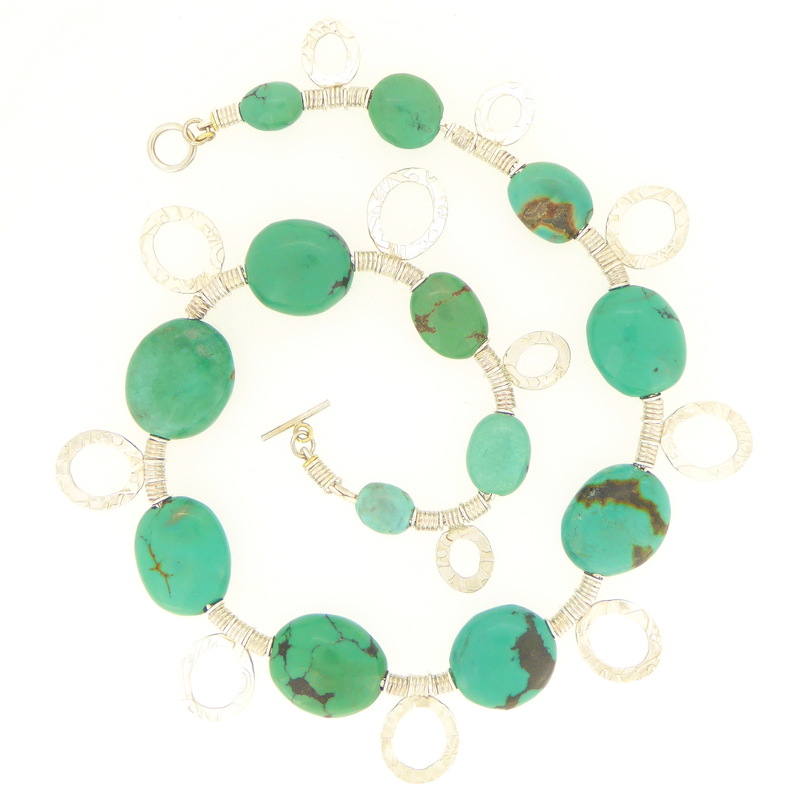 We love to use natural veined turquoise stones, we feel that the marks that run through them make the turquoise more interesting. We regularly use these stones in other necklaces and bangles. 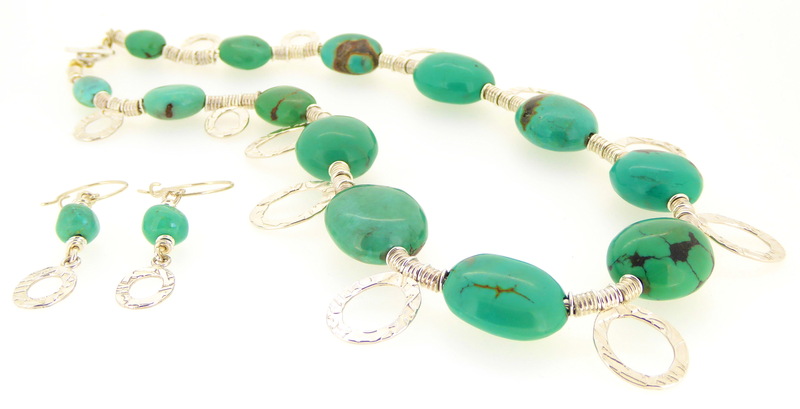 Here are a few photo’s of some of our jewellery where we have used natural veined turquoise. These items will not be on show at the Pyramid Gallery but can be found on our website. 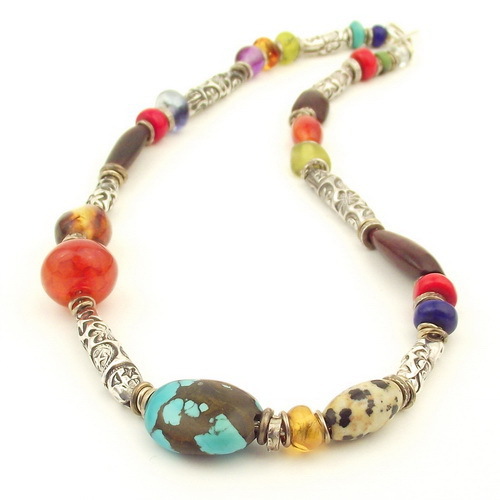 Multi stoned tube necklace, the veined turquoise takes centre stage. Silver bangle with turquoise and 18ct.gold. 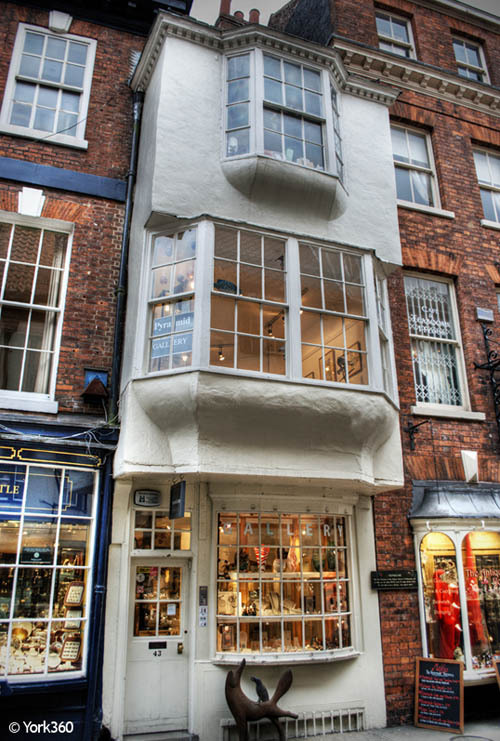 We have exhibited at this wonderful gallery for over 25 years. 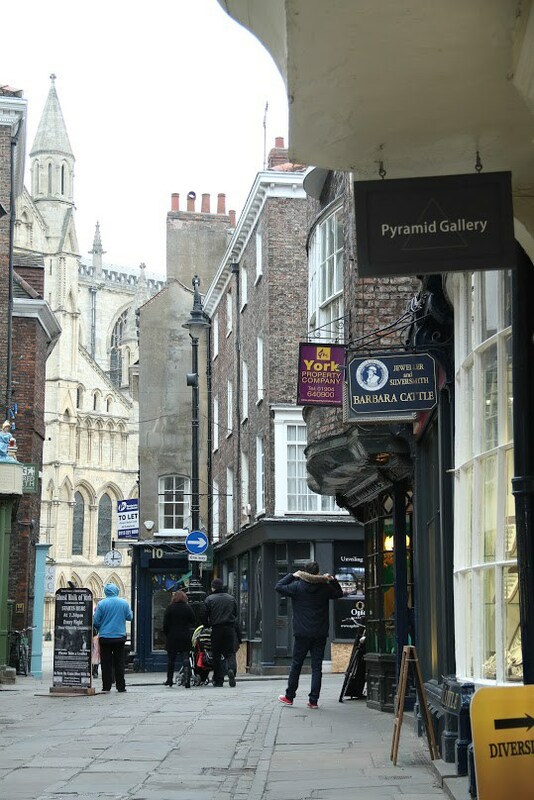 In fact, we have a great fondness for Pyramid, as it was the first gallery that we ever exhibited at. They were wonderfully supportive then and are just the same now. Terry Brett and his team are lovely, they have a great eye for quality arts and crafts and the gallery is brimming constantly with the very best creative and inspirational work. Thank you Terry and Co. for your loyalty and support over the years. 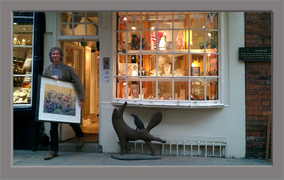 A lovely photo of Terry Brett, the owner, doing a runner with one of the Fine Art prints. 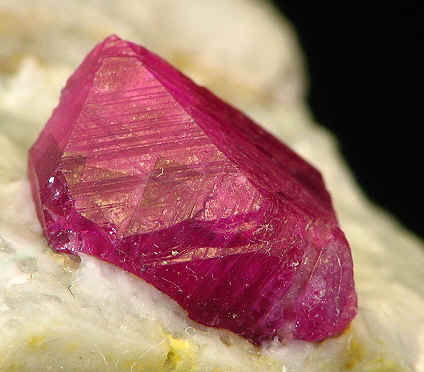 Pink corundum, a member of the Sapphire family, (Sapphire, birthstone for September). Sapphires and Rubies are the best known forms of the mineral Corundum but Pink corundum, as its name suggests, is a member of the same family. We often use pink corundum in our jewellery. Over the years we have sourced a variety of wonderful gem stones, each one adding a distinct rich colour to our work. 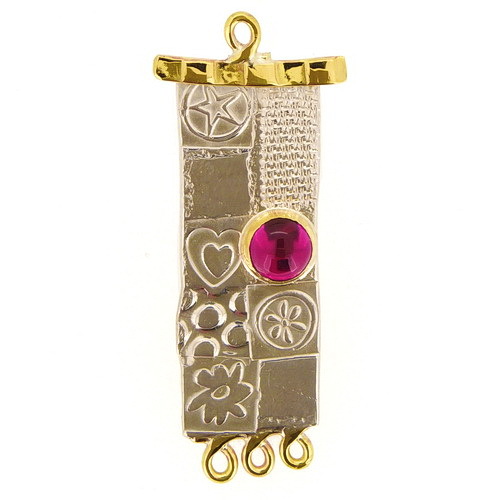 Pink corundum is one of our favourite stones to use because of its beautiful luscious colour. Large asymmetrical earrings with a pink corundum stone. Large asymmetric earstuds. 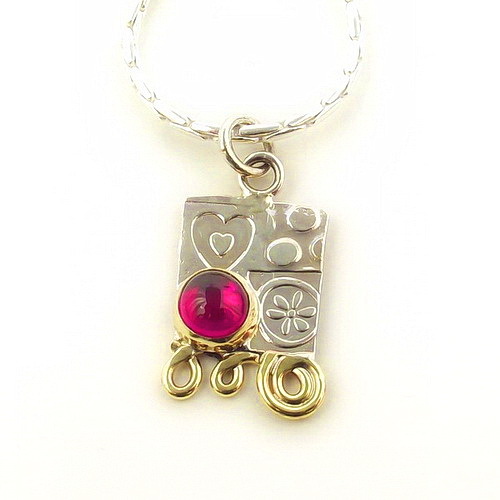 Sterling silver, brass, pink corundum. 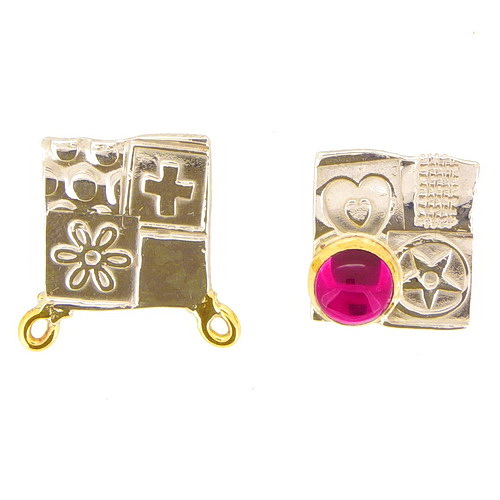 In our Asymmetric, Matching and Imprint ranges of jewellery we use synthetic or Lab grown Pink corundum. The lab made corundum is chemically, physically and optically identical to the gems that occur in nature. We use this stone for many reasons. Mined pink corundum is found in many shades of pink, from very light translucent pink to a dark ruby colour. The lab grown Corundum is a constant perfect pink colour and has wonderful clarity with fewer flaws. 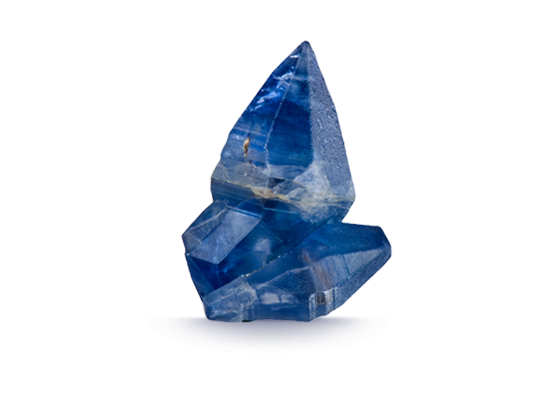 Lab grown Corundum also has less of an impact on the environment than mined gems and has a lighter carbon footprint. Another important reason is the cost. Natural gemstones are becoming more difficult to obtain and therefore are getting more expensive. If we used mined pink corundum the price of our jewellery would be substantially higher and beyond the reach of most people. You can find all of the jewellery featured in this blog on our website. 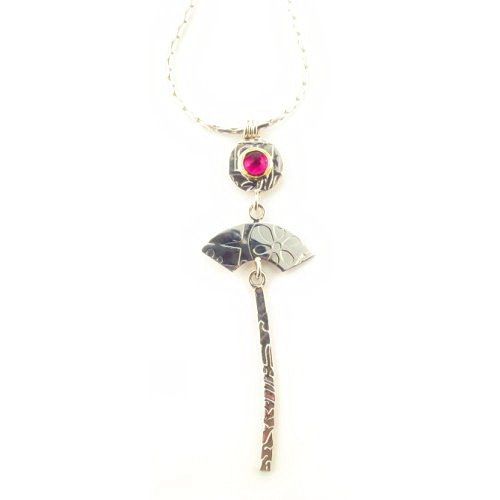 Three part fan pendant with a pink corundum stone, from our Imprint range. 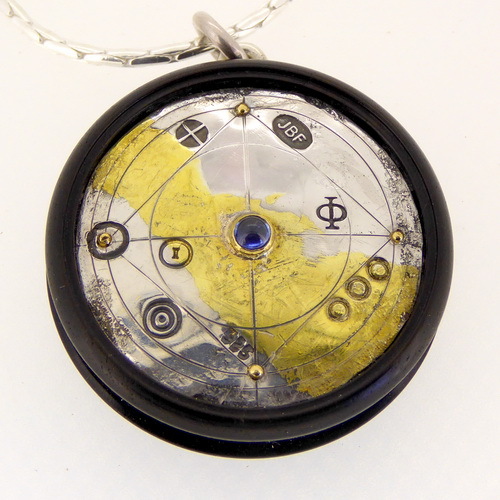 As promised, John’s new one-off sapphire pendant. Sapphire, the birthstone for September. This beautiful one-off Sapphire pendant is fresh out of the workshop and has just gone for sale on our website. It is a combination of our Keum boo range of work and John’s one off wooden pieces. The materials used are Sterling silver, 18ct. and 24ct.gold, a sapphire gem stone and hand turned African blackwood. The wooden disc is 35mm or 1 3/8″ in diameter. Keum boo scribed small halved earrings. 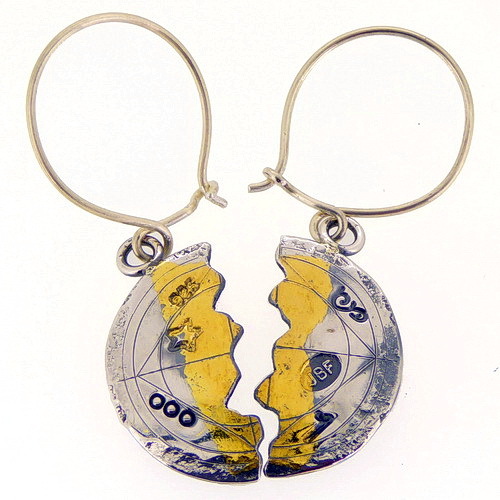 John’s one-off boxed halved earrings. 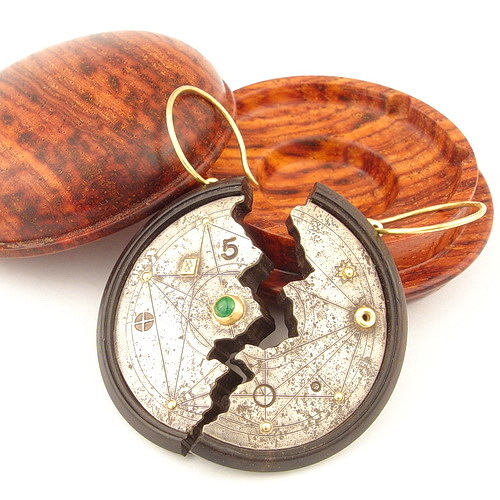 Emerald, 18ct.gold, silver, cocobolo wood, Olive wood. These particular one-off earrings have sold but John is happy to take on commissions for similar pieces. 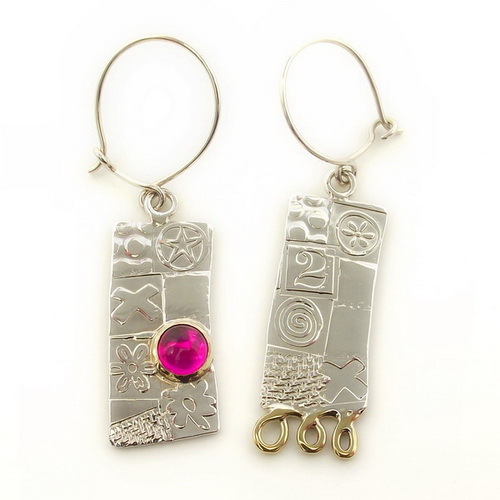 You can also find more of John’s wonderful one-off boxed earrings on our website. 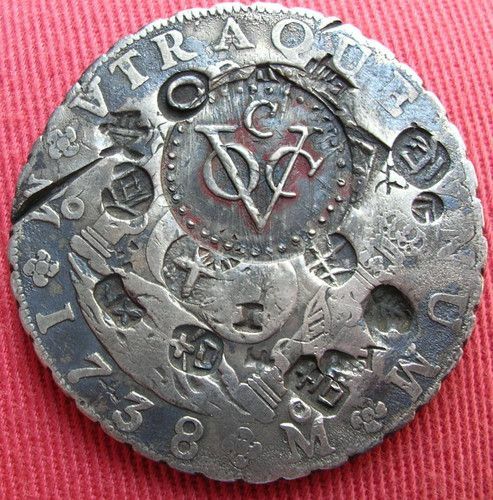 Inspiration for the punched marks on the silver can be viewed on John’s Pinterest boards. The word sapphire originated from the Greek word sappheiros, the same name may have also been used for the Lapis Lazuli stone. Sapphires were formed 150 to 200 millions of years ago. Rocks inside of the earths crust were put under intense pressure and very high temperatures, causing the atoms in the rocks to change and recombine to create the mineral corundum. Sapphires are a form of corundum and are amongst the strongest natural gemstones, second only to diamonds. Sapphires are mined all over the world, including Australia, Malawi, Sri Lanka and Madagascar. 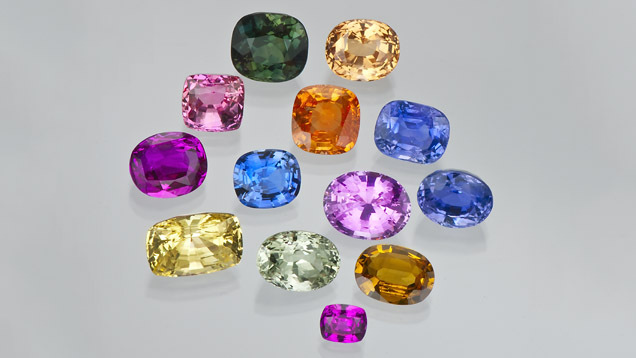 The most valuable sapphires are mid blue in colour but sapphires actually come in a variety of other colours including yellow, orange, green and pink. Red sapphires are better known as rubies. 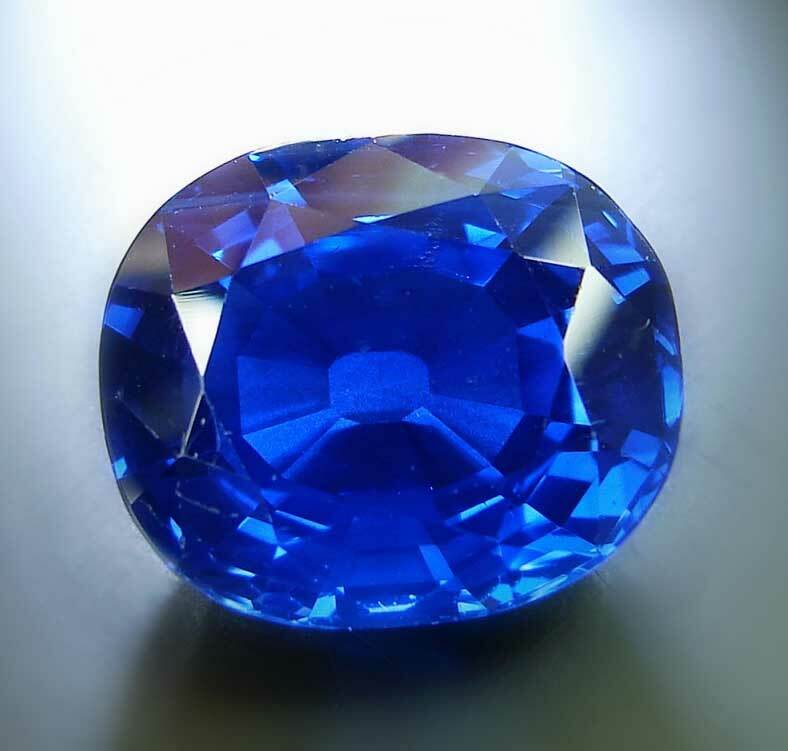 The most valuable sapphires are a mid blue colour. Photo sourced from stonegrouplabs. 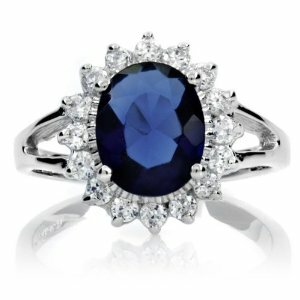 Another interesting fact is that most natural sapphires undergo heat treatment. This helps to improve their colour and clarity, keeping the colour constant under all light conditions and protecting them against chipping. One of the world’s most famous sapphires was given to Princess Diana as an engagement ring, which is now worn by Kate Middleton, the Duchess of Cambridge. Another example of royal sapphires that have recently been in the headlines is a beautiful coronet that was designed by Prince Albert for Queen Victoria to wear on their wedding day in 1840. A temporary ban has been placed on the coronet preventing it from being sold abroad. 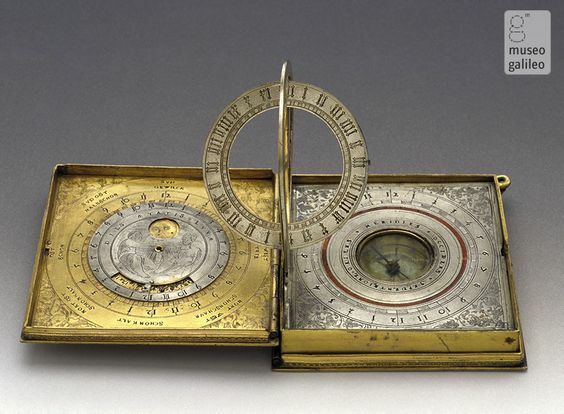 It is considered to be one of the most important jewels of Queen Victoria’s reign. 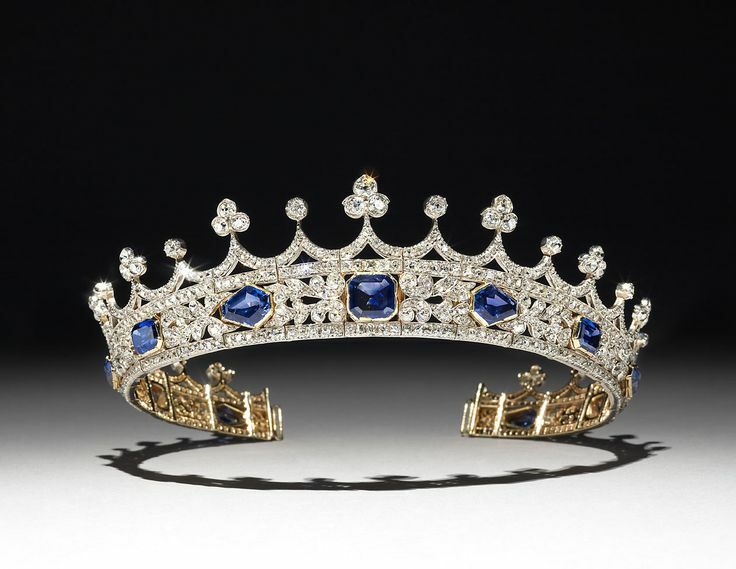 The coronet is mounted with eleven stunning sapphires, which are set in gold and the diamonds are set in silver. Lets hope that someone out there has a spare 5 million! As well as being September’s birthstone, sapphires are also given to celebrate 45 years of marriage. 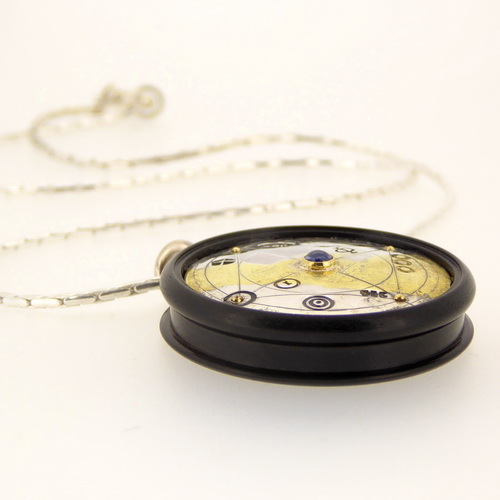 Watch this space to find out about our new sapphire necklace!!! Coming soon.